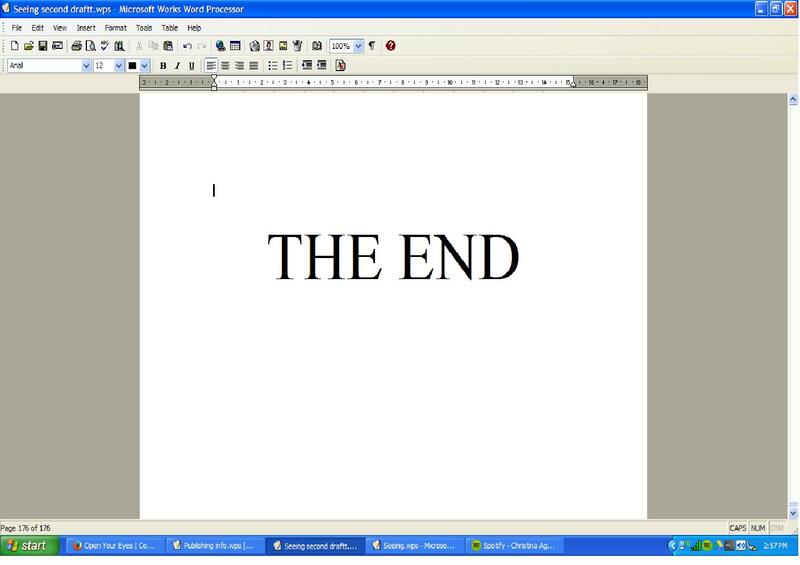 That’s right, I finally typed those words this afternoon! While I’m sure there will be plenty of revisions still to come, I can officially say that I have written an entire book. To check out the (new and improved) first five chapters of Open Your Eyes – or even just to sticky beak at the back cover blurb – click on the ‘My Novel’ tab on the menu above. And if you like it, feel free to share it with your friends!